Preheat oven to 400 degrees. Lightly grease muffin cups or use muffin liners. Combine muffin ingredients in a bowl. Fold aroniaberries into the batter. Mix topping ingredients with a fork until crumbly. 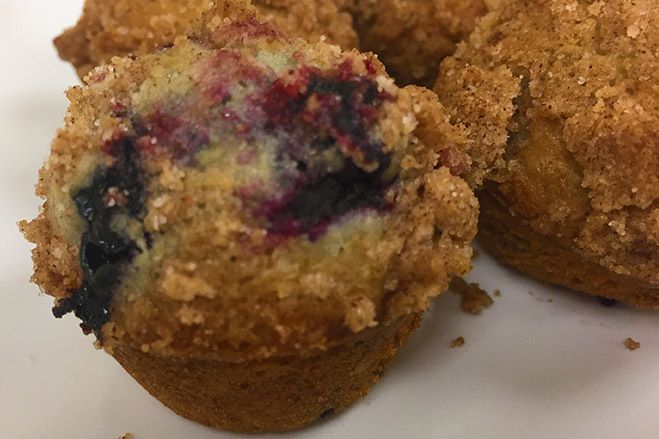 Fill muffin cups to the top and sprinkle with crumble topping mixture. Bake for 20 to 25 minutes. 15 minutes for mini muffins. Recipes yields 12 muffins or 36 mini muffins.